I’m late to the party on this but I just found out that pie company Pieminister have a cafe/restaurant in Sheffield, on Division Street. You can find Pieminister pies in many supermarkets, and their gluten free pastry is probably the closest to regular pastry that I’ve tried. I posted about them last year here. I checked out the menu online and although they only have the same three gluten free pies on offer as the shops, there are plenty of GF sides to go with them. Sadly, none of the new festive pies are gluten free. The gluten free options are Heidi Pie (sweet potato, spinach, goats cheese and red onion), Ranger (chicken, ham and leek) and the Moo (streak and gluten free craft ale). GF sides include mash, fries, smoky baked beans and slaw. Also pigs on a stick and halloumi on a stick, which sound intriguing. Gluten free starters are pigs in blankets, halloumi chips and pork scratchings. For dessert, they have a variety of ice cream sundaes, which are gluten free if served in a tub. I like the sound of all of these: Chocwork orange, Honey bee and Lemon meringue pie. I will post a review when I’ve been, but I’d be interested to hear what you think. 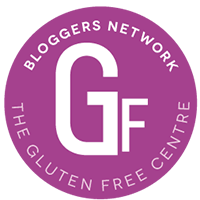 Tags: eating out gluten free, GFsheff, Gluten free pies, Gluten free Sheffield. Bookmark the permalink. Previous post ← Garlic bread! This is good to know, thank you.